There are many different types of liver problems and liver disease. Often liver problems will go unnoticed because symptoms are generally vague. Causes, treatment, and risk factors of liver disease are completely dependent upon the specific liver disease present. Liver disease is a major cause of death in the United States, and is reportedly on the rise. Reasons for an increased incidence of liver disease directly correlate with behavioral and lifestyle choices. Alcohol, unhealthy food choices, physical inactivity, and environmental pollutants all contribute to a higher incidence of liver disease. The liver does have the ability to regenerate and form new healthy cells if given the chance. Making the decision to adopt healthy lifestyle patterns can make a difference in the overall health and condition of your liver. The liver often will not indicate a problem until a liver disease has progressed into advanced stages. It is important to take measures to protect your liver on a daily basis. Actions to take to prevent liver disease include keeping yourself nourished with wholesome and healthy foods, avoiding alcohol and drugs of all kinds, and taking the proper precautions around environmental toxins. Some liver diseases are hereditary or caused by a mutation in a gene. These types of liver disease are present at birth. Sometimes an individual will not discover the liver problem until later in life if symptoms are not troublesome or apparent. Other times, hereditary liver disease cause serious developmental issues that will prevent an individual from thriving. There are more than 100 different types of liver diseases and conditions. Liver disease and cirrhosis are both major causes of death in the United States. Your symptoms, medical history, genetics, lifestyle, and behavioral choices are all factors that your doctor takes into account when investigating your risks for liver disease. If your doctor suspects that you may have liver disease or a liver condition, there are a variety of liver tests that can diagnose a liver problem. Hepatitis, cirrhosis, and liver cancer have the highest incidence of all the liver problems. 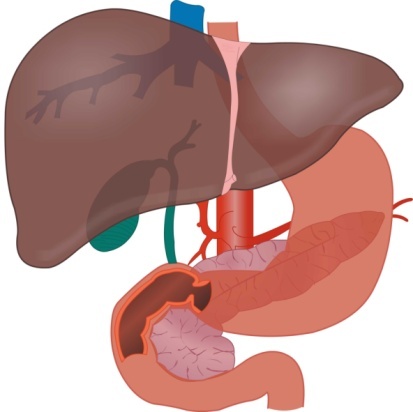 To learn more about a liver disease, please select from the following liver problems list.